Caroline got hooked on yoga in 1996 after a five day intensive workshop she attended in the Himalayas. The Iyengar teacher challenged the participants to practice six poses every day taking one day off each week then to see how they felt after 6 months, one year, two years … Caroline took the bait and found a teacher in her own personal practice as she discovered that her own attention to practice became her teacher. 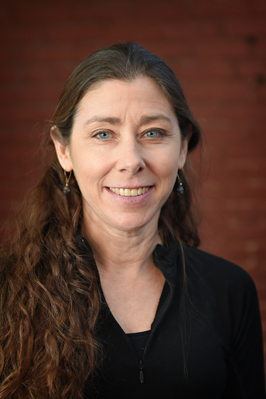 Her practice grew tremendously when she became a student of the Advanced Studies/Teacher Training program at the Iyengar Yoga Institute in San Francisco from 2006 until completion in 2008. She had the opportunity to apprentice with Senior Teacher Janet McLeod whose depth of practice and light wit she admires. Caroline has enjoyed teaching beginners since 2008. Fran Elrod loves to move. Growing up Lexington, Fran was a modern and classical ballet dance junkie until she graduated from James Madison University. 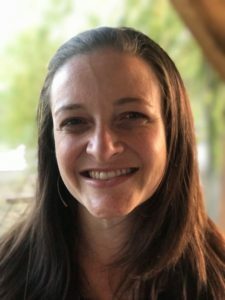 Fran holds a national certification in ACE Group Fitness, a certification in Barre Above, and she is working towards a Certification as an ACE Health Coach. With a deep appreciation for the body, mind, and spirit, Fran seeks to build an inclusive exercise family that lifts up and energizes one another. Fran lives in Lexington with her husband, Josh where they love and enjoy their three children Sierra, John, Adam, along with many wonderful friends. Susan became interested in yoga after retiring from 31 years of teaching elementary school and found that yoga benefited her other interests: hiking, tennis, golf and gardening. Her passion for yoga evolved into a desire to share yoga with others and a search began for further yoga training. After taking several classes with Yoga Fit, Susan received her 200 RYT with Marianne Wells in Costa Rico. Inspired by reading Rolf Gates’ Meditations from the Mat, Susan began searching for a workshop lead by Gates and ended up taking a 300-hour training with him to receive her 500 RYT. She has taken many workshops and trainings over the past 5 years including Yoga Therapy with Gary Kraftsow, Yoga for Depression and Anxiety with Amy Weintraub, Meditation and Yin Yoga with Sarah Powers, Restorative Yoga with Judith Lasater, and Freedom Yoga with Erich Schiffman. 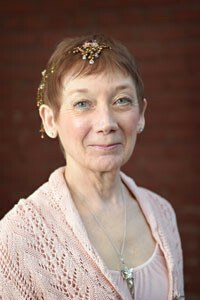 Each training/workshop has contributed to the mindful style of yoga that Susan enjoys teaching. She would like to thank Rolf and all the other teachers for their wisdom, guidance and inspiration during their time together on this amazing, transformative yoga journey. Amy came to Lexington in the summer of 2014 with her family when her husband relocated for work. Prior to that, she lived in Charlotte, NC for 43 years. She spent her adult years as an educator, first as a kindergarten and first grade teacher with Charlotte Mecklenburg Schools, then as a preschool teacher at her church preschool. She discovered yoga during her first pregnancy and has been practicing yoga for 16 years. After moving to Lexington, she decided to combine her love of yoga with her passion for teaching. She obtained her Grounded Kids Yoga certification in October of 2015 in Charlotte, NC and is certified to teach yoga to children and teens from ages 2 to 18. She received her B.A. in English from Wofford College and her M.A. in English from Winthrop University. When she realized that teaching college level English was not at all like going to book club every day, she obtained her M.A.T. (Master’s in Teaching) at Queens University. She is currently an Afternoon Program teacher at Shenandoah Preschool, as well as a yoga teacher at Yellow Brick Road Daycare. 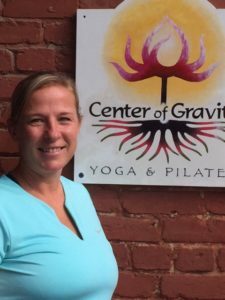 She teaches teen yoga at Center of Gravity and is eager to expand her children’s and teen’s yoga practice throughout the Lexington community. Amy lives in Lexington with her husband, Cliff, and their two active teens, Ella and Luke. Kristen is a 1995 graduate of the University of Nevada, Las Vegas with a B.S. in Athletic Training. She studied dance for 18 years and has been faithfully practicing yoga and Pilates since 2002. In May of 2011, Kristen returned to UNLV to earn her Mat Work I and II Pilates certification. 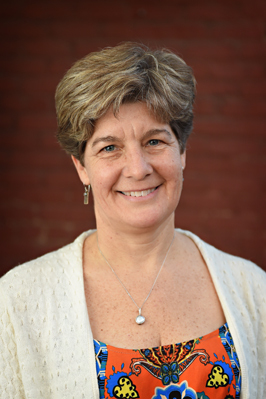 She is an instructor at Washington and Lee University, a position she has held September 2011. 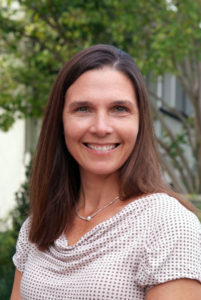 She continued her Pilates education in April 2012 with workshops in “Pilates for Golf” and “Pilates for Stress Management.” Kristen lives in Lexington with her husband, Gene and their four daughters Kaelan, Molly, Ava, and Georgia. She is one of three co-owners of the studio. Karen recently returned to Rockbridge County. 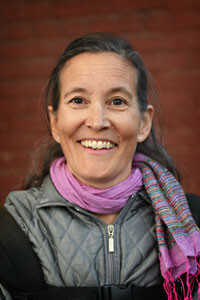 Although she is new to instructing Tai Chi, Karen is retired from the elementary school system. She is an experienced and passionate teacher. She has also been an instructor in ballet, canine obedience, and canine massage. Karen was an original member of the Rockbridge Ballet. She currently holds two teacher certifications in Tai Chi. Karen is married to retired Lt. Colonel Joseph Price. As an NSCA Certified Personal Trainer and Certified Strength and Conditioning Specialist for the last 14 years, Holly Snyder offers well-rounded fitness training for all participants. She has been a PiYo Live Instructor for over two years. Fitness for all ages is her passion; she is an elementary school Physical Education teacher and runs a movement camp for kids in the summer time (Camp PLAY). In addition, Holly has had extensive training in Nutrition Education and Core Stability. 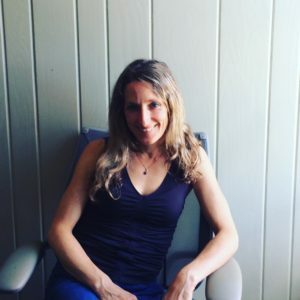 Her interest in fitness, nutrition, and healthy living and thinking began in her Kinesiology studies at Indiana University and while getting her Master’s from the University of Virginia. 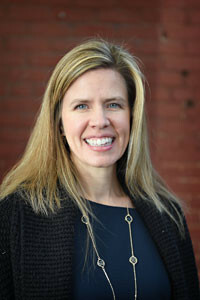 She is the proud mama of two kids, Devin and Geneva, and is married to the W&L Volleyball Coach, Bryan Snyder. PiYo was a crucial element in enabling her to get back moving, become strong again, and improve her flexibility after extensive ankle surgery several years ago. She loves what it can do for all overall strength and results for any fitness level; she can’t wait to see you in class!! Karen has always been a seeker interested in science and philosophy. She began taking yoga in 2000 not only as a way to become more flexible and calm, but also because of its connection with meditation and spirituality. She enrolled in a 200 hour teacher training with Anna Pittman in 2003 to deepen her practice and because she wanted to bring more yoga to Lexington. 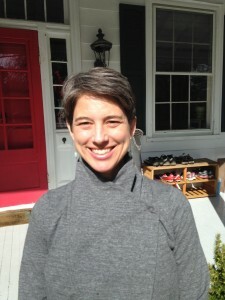 Karen has been teaching yoga since 2003 in the Lexington area. She went on to receive her 500 hour certification with Anna Pittman, and has also studied with Tilak Pyle, Paul Grilley, Shiva Rea, and Sarah Powers. 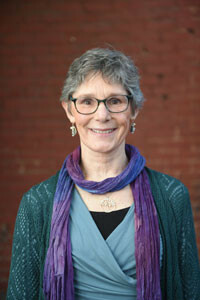 She continues to explore present moment awareness as a central principal of her teaching and her own practice. 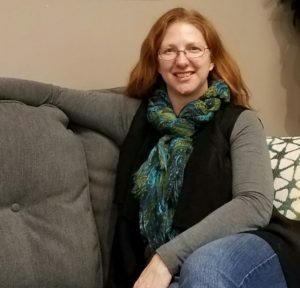 Karen is married with two spirited young sons and spends as much time as possible immersed in the natural world as a forester with the Commonwealth of Virginia and is one of three co-owners of the studio. Susan Dixon first tried yoga when she was a high school senior. The deep relaxation and flexibility that she felt after an hour of stretching and breathing felt wonderful, but Susan was hooked by the yoga teacher’s affirmation that yoga is accessible to everyone at every age. Since then, Susan has taken classes with teachers in France and the U.S., experiencing various styles of hatha yoga. In 2017, she completed an interdisciplinary 200-hour teacher training with Ann Hunt at Evolve Yoga in Maryland, an affiliate of the Nosara Yoga Institute in Costa Rica. Susan is thrilled and honored to share her yoga at Center of Gravity. Her intention is to assist students as they cultivate physical strength, deep relaxation, and balance through a slow flow vinyasa. Susan lives in Lexington with her middle-school-aged son and yoga-curious cat. She teaches French and Francophone studies at Bridgewater College and travels to Paris and Rome whenever she can. As a Physical Education teacher for the past 18 years, I discovered yoga through group fitness. At that time, to enhance my job as a coach and teacher at Hollins University I became an aerobics instructor, certified through the American Council on Exercise. I began coaching and teaching at Washington & Lee University as the Head field Hockey coach and the assistant Women’s Lacrosse coach in 2001. I have taught yoga, aerobics, CPR and women’s health classes at the University level. My training in yoga is through Yoga Fit, a company founded in 1994 with the goal to bring yoga to the masses. The goal of Yoga Fit is to demystify yoga and create classes that are practical, user friendly and understandable to all levels. Although I came to yoga for the physical benefits, I have been impressed and pleased with the mental benefits. The ability to de-stress, control breathing and have a deeper sense of well-being has been significant and enjoyable. As someone with an active interest in contributing to the local area, I am excited to begin this next chapter of my involvement in the Lexington and Rockbridge community. Currently serving on the board for Hull’s Drive-In, I have been a member of the Natural Bridge Volunteer Fire Department, and have also created a summer camp called Camp PLAY, focused on bringing active movement into the life of youngsters. With over 20 years’ experience as a coach, I love to exercise with others and inspire others to get moving. While my specific training in yoga has been important, my belief is that my teaching degree, classroom experience and coaching experience are what make me a solid yoga teacher. I live on a small farm in Natural Bridge with my husband Mike and two children. My personal enjoyments include reading, riding horses, and being in the outdoors. A certified yoga and qigong teacher, I am registered with Yoga Alliance as a RYT-500. I have been an enthusiastic student of yoga since 1989, and began teaching in 2007. My 200 hr. training is in the traditional style of Hatha Yoga under Anna Pittman of Blacksburg, VA. To complete my 500 hr. RYT I studied at the Samudra School of Living Yoga with international teacher and activist Shiva Rea, innovator of Prana Flow® Yoga. As a graduate of this program, I am a certified teacher of Prana Flow® Yoga. I have done continued training with many others including Maria Garre, Eric Schiffman, as well as Sarah Powers in Yin Yoga and meditation. In the summer of 2012 while walking on the Florida beach, I met my qigong teacher, John Walcott. The ancient tradition of qigong has added a new dimension to my practice, and I have gone on to earn my qigong teaching certification at Cloudwalker Studio in 2014. With a degree in classical piano performance, over the past 32 years I have worked and taught in the fields of music, outdoor experiential adventure, timber framing, and yoga. In addition to my various vocations my interests have included long distance and athletic endurance adventures. I have always been drawn to nature and personal challenges in nature. In 1991 I backpacked the entire length of the Appalachian Trail, and in 2014, I completed my first marathon. My yoga practice began in California in 1989, but in 2005 it took on a new level of dedication and consistency as I searched for a way to heal my body from the stresses of timber framing, backpacking, playing a musical instrument and running. It was the physical healing as well as the benefits of strength and flexibility that drew me into yoga, but through the physical I discovered the deeper mental and spiritual benefits of yoga and qigong as well. I believe a passionate student is what makes a good teacher, and as a lifelong student my greatest gifts come from sharing what I learn and love.